In 2001, a dedicated group of Owensboro Lions Club brought the Soap Box Derby back to Owensboro after a 36-year absence. Racing once a year on Bluff Ave by Chautauqua Park, these volunteers set up, operated and dismantled a "race track" in a single weekend each summer. In 2010, the Owensboro Lions Club collaborated with community leaders to construct a permanent Soap Box Derby track at Ben Hawes Park. Thanks to the commitment of these Lions, the City of Owensboro, Daviess County Fiscal Court and many private contributors; multiple races now take place on one of the finest Soap Box tracks in the United States! 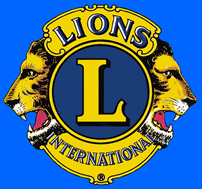 The Lions now host multiple Soap Box Rally Races each year and the Owensboro Lions Soap Box Derby has grown to be one of the most anticipated racing events in the community. 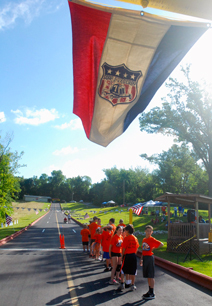 The track is among the top Soap Box Derby venues in the United States. In 2015 our area produced three Rally Division World Champions... all veterans of this track! Our Lion's commitment remains to help provide young racers the opportunity to spend quality time with family as they build their Soap Box Derby car. They gain self-confidence and learn sportsmanship as they race one another down the hill. This track can provide any child with the thrill of racing. We also conduct Super Kid races that provide children with disabilities the same opportunity, challenge and excitement. Should you wish to participate in any way please email Derby@owensborolions.com. Come see us... come race with us... come help the Owensboro Lions Club serve others! Gravity Rules!